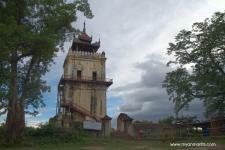 Innwa had been the capital of Myanmar from 1364-1841 for two dynasties. 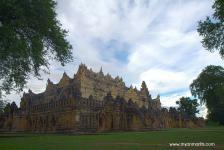 Hence, the main attractions here are fascinating regal edifices that outlasted its past kingdoms. 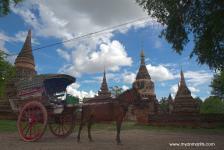 Travel through the city on ox cart to tour various ruins of its palace, walls, and moat as well as numerous pagodas, temples, and monasteries stand from different eras while getting a peek at rural Burmese life. 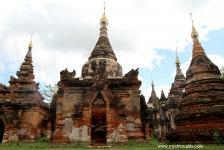 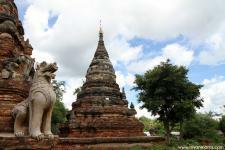 Some of the most visited attractions here are the Maha Aung Mye Bonzan, the brick monastery and the Bagaya monastery, the wood monastery. 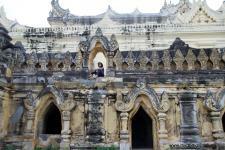 Both are living museums that reveal the architecture talented artisanship of the Burmese people in the particular period.